HEATSTRIP portable LPG outdoor heater by Thermofilm Australia was honoured with the 2017 Good Design Selection in the Product Design category. Announced by Good Design Australia, the 2017 Good Design Selections also marked the countdown to Australia’s most prestigious awards for design and innovation held in Sydney in June. The announcement was preceded by an extensive evaluation process involving more than 35 Australian and international design experts. 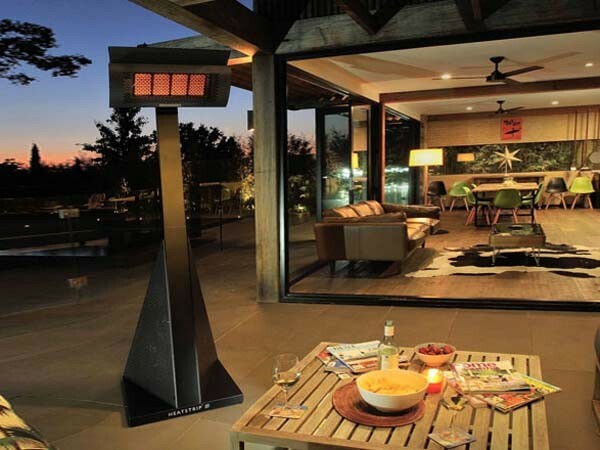 HEATSTRIP portable LPG outdoor heater was one of only 244 entries to receive the 2017 Good Design Selection. Dr Brandon Gien, CEO of Good Design Australia and Chair of the Good Design Awards program, commented that the Australian Good Design Awards attracted innovative entries from all corners of the world. Describing Good Design Awards as one of the few design award programs in the world where design and innovation are celebrated so broadly, he noted that the 2017 Good Design Selections represented excellence in design across the widest spectrum of design including Product Design, Service Design, Architectural Design, Design Strategy, Digital and Communication Design, and Social Innovation.